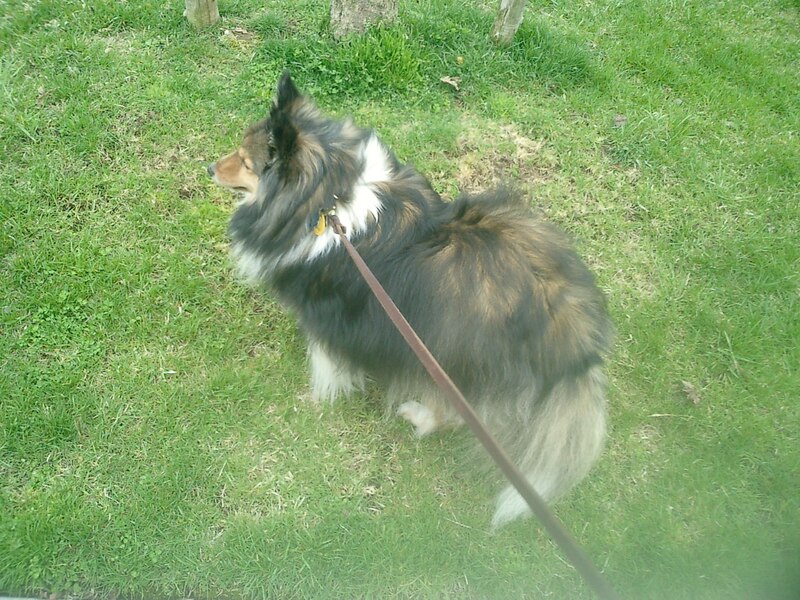 My little sheltie Paw client paces the floor and spins with anticipation whenever she sees me coming up their front yard, she circles by my feet, tail wagging. Once I grab for the little plastic bag, she knows…We’re going for a walk! Dogs need daily walks, not only for exercise, but to be social and knowledgeable about the world around them. A fenced back yard may provide a place to run and accessibility to fresh air, but in reality, the yard is just an extension of the house. Like walls, tall fences, bushes, and trees keep them sheltered from the world. A variety of sounds and activity can be heard but not seen. They don’t see the other dogs out for walks, the neighbors walking by or the children out playing. Within the confines of their yard they may never see a cat, or types of plants that is not within the space. Hearing sounds or detecting scents that cannot be seen and explored can lead to frustration and result in unsociable behavior like excessive barking or unnecessary digging. Being left alone indoors for long stretches in time my result in excessive chewing and destructive behavior out of boredom. An unsocialized dog can become aggressive, possessive of their territory and fearful of the unknown. One walk a day will provide much needed exercise and social interaction. The everyday walks do not need to be long but should be consistent. While walking your dog you may discover the unexpected. You might uncover an unforeseen joy in walking in a misty summer rain or find that walking in the sunshine an absolute joy. While slowly strolling with your pup you may see the beauty in the colors of the season or meet a new neighbor.On days you are unable to walk, or at times you need to be away from home for long periods during the day, you may want to explore the option of hiring a pet sitter/dog walker. 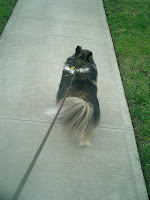 A professional dog walker can provide a daily walk and maintain the daily routine in your absence. Your pup will make a new friend, and, at the end of the day when you will return home, greet you with a wagging tail.How does your dog show you they want to go for a walk? The puppy, leash in mouth, gazing up with hopeful eyes may not be exact image your pup recreates but dogs certainly know how to make their wishes known. What is the best part about taking a leisurely walk? Leash your pup, then go out and discover the answer together! This entry was posted in Dog Walking Service Hobart, Dog Walking South Hobart and tagged Dog walker Hobart, Dog walker kingston, Dog walker north Hobart, Dog walker Sandy Bay, Dog walker South Hobart, Dog Walking Hobart, Dog walking Lenah Valley, Hobart dog Walking Service on 11/04/2012 by kimberly.